XRP/USD recovers from intraday lows, upside is limited. Coincheck OTC listing failed to stimulate demand. 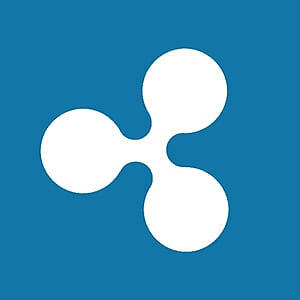 Ripple’s XRP crashed below several intraday support levels and touched $0.3136 low during early Asian hours. At the time of writing, the third largest digital asset with the market value of $13.4 billion is trading at $0.3190, down 2.5% on a day-on-day basis. XRP/USD is struggling to return to the area above $0.3200 handle despite bullish short-term trend. Low volatility limits the recovery potential. The Japanese cryptocurrency exchange Coincheck added Ethereum (ETH) and Ripple’s XRP to the recently launched over the counter (OTC) trading platform. Typically, OTC platforms are focused on large traders that operate with large amounts and are looking for the ways to reduce transaction costs. As OTC transactions are nor registered in the order book, they do not influence the price fluctuations and allow to avoid volatility in case of large transactions. However, the news produced little effect on either ETH or XRP as the market is driven mostly by speculative and findamental factors.Looking technically, XRP/USD dropped61.8% Fibo retracement for the upside move from March, 26 low at $0.2869. This development bodes ill for further growth and implies that the price may resume the downside with the next focus on $0.3136 (intraday low) and $0.3100. A sustainable move below this handle will take us towards the psychological barrier at $0.30, where a fresh buying interest is likely to appear. On the upside, a move above the said 61.8% Fibo will improve the short-term technical picture and allow for further recovery towards $0.3250 backed by SMA200 (4-hour). The next resistance is created by 50% Fibo retracement at $0.3337, followed by SMA50 and SMA100 (4-hour) around $0.3380.